Cardiovascular CT Imaging: Intensive Level II Training Course and Introduction to 3D Vascular Angiography & Stress Perfusion CT is organized by Cardiovascular Associates, Ltd. (CVAL) and will be held from May 20 - 24, 2019 at Sentara Norfolk General Hospital, Norfolk, Virginia, United States of America. The target audience for this medical event is Cardiovascular Disease Specialists, Radiologists, Fellows-in-training and Cardiothoracic & Vascular Surgeons. This CME Conference has been approved for a maximum of 58.75 CME hours. Conference Description : Multiple approaches to evaluation of cardiovascular CT studies exist with varying accuracy depending on the type of workstation, type of scanner, referral population, patient selection, and training mentor preferences. Few courses offer an algorithmic, comprehensive approach to interpretation and offer coronary cath/ IVUS, echo, and MRI correlations or review extracardiac thoracic interpretation or the application of CTA to peripheral angiography. Cardiovascular Associates and Bayview Physicians Group have joined together to design a comprehensive course to provide a unified educational program based on the standards co-developed by the ACC and SCCT. Conference Objectives are : • Operate a 3-dimensional workstation to extract pertinent information from a thoracic volume of interest (VOI), then analyze and interpret the cardiovascular findings systematically, using the VRT-MIP-MPR method, to construct a complete and accurate Cardiovascular CT Report. • Judge the quality of Cardiovascular CT studies and its relationship to cardiac CT technical factors including the advantages and disadvantages of various types of cardiovascular CT scanners: 32 slices, 64 slices, 256 slices, dual source CT, and PET-CT hybrid imaging. • Formulate an acquisition protocol for CT contrast administration, recognizing the kinetics of triphasic injection and caveats in special patient populations such as those with valvular disease, a history of adverse reactions to contrast media, intra-cardiac shunts, and high BMI. • Cite CT radiation dose reduction strategies, radiation risk measures, and published radiation dose values in comparison to other cardiac modalities, and manipulate CT scan collimation, temporal resolution, and the three fields-of-view for cardiac patients to minimize risks to the patient. • Characterize plaque density and vulnerability for individual lesions, difference between abnormal findings and image artifact, and caveats of stenosis estimation including the effect of window and level view settings. • Evaluate regional contractility, calculated estimation of ejection fraction, myocardial resting perfusion, native and mechanical valves, and pericardial disease. • Evaluate typical and complex tertiary referral studies including acute aortic syndromes, pulmonary embolism, simple congenital heart disease, post-aortic surgery studies, pre and post electrophysiologic intervention, and cardiac masses, etc. (see table of typical and tertiary cases presented). • Interpret extracardiac thoracic structures such as pleural effusions, lung nodules, lymphadenopathy, infiltrates and cite the Fleischner Society guidelines for Management of Small Pulmonary Nodules Detected on CT Scans. • Construct an appropriate workflow and staff training program, utilizing the patient SPARR (Selection, Preparation, Acquisition, Reconstruction, and Reporting) system including the appropriate integration into clinical care. Women's Health 2019 is organized by VCU Health and will be held from Jun 28 - 30, 2019 at Hilton Norfolk The Main, Norfolk, Virginia, United States of America. Target Audience: Academic/Research, Behavioral Health, Cardiovascular Disease, Family Practice, General Practice, Internal Medicine, Nurse Practitioner, Nursing, Ob/Gyn, Obstetrics, Physician Assistant, Women's Health Women’s Health 2019 is designed with you in mind. We know what you want in a women’s health conference, and have put it all together for you in one exciting weekend, filled with engaging lectures, discussions, networking receptions, old friends, and new connections, in the heart of coastal Virginia. We’ve carefully crafted an agenda catering to the learning needs of primary care physicians, nurse practitioners, nurses, physician assistants and other healthcare professionals focused on women’s health in family practice, internal medicine, and obstetrics and gynecology. Additional details will be posted as soon as they are available. Cardiovascular CT Imaging: Intensive Level II Training Course and Introduction to 3D Vascular Angiography & Stress Perfusion CT is organized by Cardiovascular Associates, Ltd. (CVAL) and will be held from Sep 16 - 20, 2019 at Sentara Norfolk General Hospital, Norfolk, Virginia, United States of America. The target audience for this medical event is Cardiovascular Disease Specialists, Radiologists, Fellows-in-training and Cardiothoracic & Vascular Surgeons. This CME Conference has been approved for a maximum of 58.75 CME hours. Conference Description : Multiple approaches to evaluation of cardiovascular CT studies exist with varying accuracy depending on the type of workstation, type of scanner, referral population, patient selection, and training mentor preferences. Few courses offer an algorithmic, comprehensive approach to interpretation and offer coronary cath/ IVUS, echo, and MRI correlations or review extracardiac thoracic interpretation or the application of CTA to peripheral angiography. Cardiovascular Associates and Bayview Physicians Group have joined together to design a comprehensive course to provide a unified educational program based on the standards co-developed by the ACC and SCCT. Conference Objectives are : • Operate a 3-dimensional workstation to extract pertinent information from a thoracic volume of interest (VOI), then analyze and interpret the cardiovascular findings systematically, using the VRT-MIP-MPR method, to construct a complete and accurate Cardiovascular CT Report. • Judge the quality of Cardiovascular CT studies and its relationship to cardiac CT technical factors including the advantages and disadvantages of various types of cardiovascular CT scanners: 32 slices, 64 slices, 256 slices, dual source CT, and PET-CT hybrid imaging. • Formulate an acquisition protocol for CT contrast administration, recognizing the kinetics of triphasic injection and caveats in special patient populations such as those with valvular disease, a history of adverse reactions to contrast media, intra-cardiac shunts, and high BMI. • Cite CT radiation dose reduction strategies, radiation risk measures, and published radiation dose values in comparison to other cardiac modalities, and manipulate CT scan collimation, temporal resolution, and the three fields-of-view for cardiac patients to minimize risks to the patient. • Characterize plaque density and vulnerability for individual lesions, difference between abnormal findings and image artifact, and caveats of stenosis estimation including the effect of window and level view settings. • Evaluate regional contractility, calculated estimation of ejection fraction, myocardial resting perfusion, native and mechanical valves, and pericardial disease. • Evaluate typical and complex tertiary referral studies including acute aortic syndromes, pulmonary embolism, simple congenital heart disease, post-aortic surgery studies, pre and post electrophysiologic intervention, and cardiac masses, etc. (see table of typical and tertiary cases presented). • Interpret extracardiac thoracic structures such as pleural effusions, lung nodules, lymphadenopathy, infiltrates and cite the Fleischner Society guidelines for Management of Small Pulmonary Nodules Detected on CT Scans. • Construct an appropriate workflow and staff training program, utilizing the patient SPARR (Selection, Preparation, Acquisition, Reconstruction, and Reporting) system including the appropriate integration into clinical care. Additional details will be posted as soon as they are available. 2019 Back to the Future: Moving Beyond Opioids for Chronic Pain is organized by VCU Health and will be held from Sep 21 - 22, 2019 at Hilton Norfolk The Main, Norfolk, Virginia, United States of America. Target Audience: Family Practice, General Practice, Neurology, Nurse Practitioner, Nursing, Orthopedic Surgery, Pain Medicine, Physical Medicine & Rehabilitation, Physical Therapy, Physician Assistant, Psychiatry Accreditation: VCU Health Continuing Medical Education designates this live activity for a maximum of 10.75 AMA PRA Category 1 Credits. Physicians should claim only the credit commensurate with the extent of their participation in the activity. Nursing: 10.75 Contact Hours. VCU Health is approved as a provider of continuing nursing education by the Virginia Nurses Association, an accredited approver by the American Nurses Credentialing Center’s Commission on Accreditation. 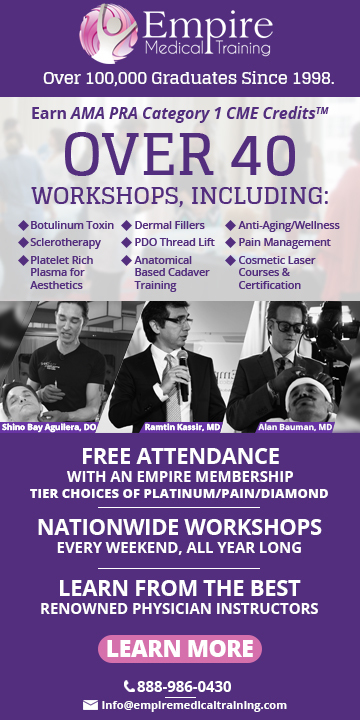 Conference Overview: Join us at our new location in Norfolk for this exciting educational symposium to learn the latest in treating chronic pain. Along with our robust plenary sessions, we will have small breakout sessions to delve more fully into current topics. Join our evening networking session for more one on one time with the faculty and your colleagues. Conference Objectives: • Design a rational opioid weaning and compliance program. 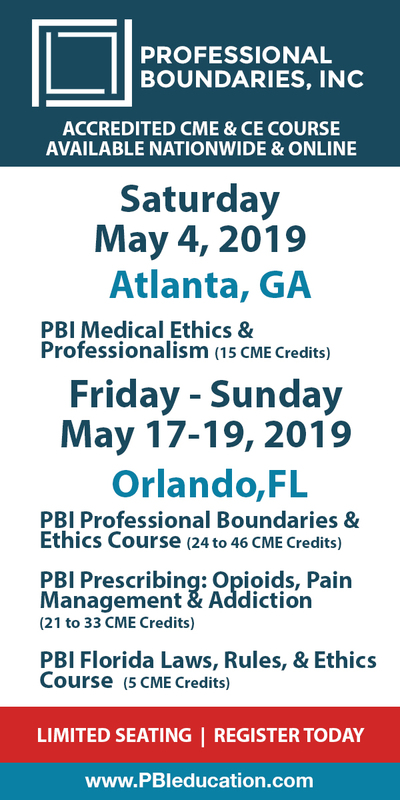 • Demonstrate knowledge of adjunctive medications, physical and psychological pain treatments and develop goals with their patients for implementation. • Learn how to have difficult conversations with patients regarding the use of opioids as part of a treatment program for their pain. • Demonstrate accurate pain assessment using an opioid weaning and compliance program • As a part of the healthcare team, demonstrate an understanding of adjunctive medications, physical and psychological pain treatments and help develop appropriate goals with patients for implementation • Reflect upon effective difficult conversations to have with patients regarding the use of opioids as part of a treatment program for their pain. Additional details will be posted as soon as they are available. Cardiovascular CT Imaging: Intensive Level II Training Course and Introduction to 3D Vascular Angiography & Stress Perfusion CT is organized by Cardiovascular Associates, Ltd. (CVAL) and will be held from Oct 14 - 18, 2019 at Sentara Norfolk General Hospital, Norfolk, Virginia, United States of America. The target audience for this medical event is Cardiovascular Disease Specialists, Radiologists, Fellows-in-training and Cardiothoracic & Vascular Surgeons. This CME Conference has been approved for a maximum of 58.75 CME hours. Conference Description : Multiple approaches to evaluation of cardiovascular CT studies exist with varying accuracy depending on the type of workstation, type of scanner, referral population, patient selection, and training mentor preferences. Few courses offer an algorithmic, comprehensive approach to interpretation and offer coronary cath/ IVUS, echo, and MRI correlations or review extracardiac thoracic interpretation or the application of CTA to peripheral angiography. Cardiovascular Associates and Bayview Physicians Group have joined together to design a comprehensive course to provide a unified educational program based on the standards co-developed by the ACC and SCCT. Conference Objectives are : • Operate a 3-dimensional workstation to extract pertinent information from a thoracic volume of interest (VOI), then analyze and interpret the cardiovascular findings systematically, using the VRT-MIP-MPR method, to construct a complete and accurate Cardiovascular CT Report. • Judge the quality of Cardiovascular CT studies and its relationship to cardiac CT technical factors including the advantages and disadvantages of various types of cardiovascular CT scanners: 32 slices, 64 slices, 256 slices, dual source CT, and PET-CT hybrid imaging. • Formulate an acquisition protocol for CT contrast administration, recognizing the kinetics of triphasic injection and caveats in special patient populations such as those with valvular disease, a history of adverse reactions to contrast media, intra-cardiac shunts, and high BMI. • Cite CT radiation dose reduction strategies, radiation risk measures, and published radiation dose values in comparison to other cardiac modalities, and manipulate CT scan collimation, temporal resolution, and the three fields-of-view for cardiac patients to minimize risks to the patient. • Characterize plaque density and vulnerability for individual lesions, difference between abnormal findings and image artifact, and caveats of stenosis estimation including the effect of window and level view settings. • Evaluate regional contractility, calculated estimation of ejection fraction, myocardial resting perfusion, native and mechanical valves, and pericardial disease. • Evaluate typical and complex tertiary referral studies including acute aortic syndromes, pulmonary embolism, simple congenital heart disease, post-aortic surgery studies, pre and post electrophysiologic intervention, and cardiac masses, etc. (see table of typical and tertiary cases presented). • Interpret extracardiac thoracic structures such as pleural effusions, lung nodules, lymphadenopathy, infiltrates and cite the Fleischner Society guidelines for Management of Small Pulmonary Nodules Detected on CT Scans. • Construct an appropriate workflow and staff training program, utilizing the patient SPARR (Selection, Preparation, Acquisition, Reconstruction, and Reporting) system including the appropriate integration into clinical care. Additional details will be posted as soon as they are available. Cardiovascular CT Imaging: Intensive Level II Training Course and Introduction to 3D Vascular Angiography & Stress Perfusion CT is organized by Cardiovascular Associates, Ltd. (CVAL) and will be held from Nov 11 - 15, 2019 at Sentara Norfolk General Hospital, Norfolk, Virginia, United States of America. The target audience for this medical event is Cardiovascular Disease Specialists, Radiologists, Fellows-in-training and Cardiothoracic & Vascular Surgeons. This CME Conference has been approved for a maximum of 58.75 CME hours. Conference Description : Multiple approaches to evaluation of cardiovascular CT studies exist with varying accuracy depending on the type of workstation, type of scanner, referral population, patient selection, and training mentor preferences. Few courses offer an algorithmic, comprehensive approach to interpretation and offer coronary cath/ IVUS, echo, and MRI correlations or review extracardiac thoracic interpretation or the application of CTA to peripheral angiography. Cardiovascular Associates and Bayview Physicians Group have joined together to design a comprehensive course to provide a unified educational program based on the standards co-developed by the ACC and SCCT. Conference Objectives are : • Operate a 3-dimensional workstation to extract pertinent information from a thoracic volume of interest (VOI), then analyze and interpret the cardiovascular findings systematically, using the VRT-MIP-MPR method, to construct a complete and accurate Cardiovascular CT Report. • Judge the quality of Cardiovascular CT studies and its relationship to cardiac CT technical factors including the advantages and disadvantages of various types of cardiovascular CT scanners: 32 slices, 64 slices, 256 slices, dual source CT, and PET-CT hybrid imaging. • Formulate an acquisition protocol for CT contrast administration, recognizing the kinetics of triphasic injection and caveats in special patient populations such as those with valvular disease, a history of adverse reactions to contrast media, intra-cardiac shunts, and high BMI. • Cite CT radiation dose reduction strategies, radiation risk measures, and published radiation dose values in comparison to other cardiac modalities, and manipulate CT scan collimation, temporal resolution, and the three fields-of-view for cardiac patients to minimize risks to the patient. • Characterize plaque density and vulnerability for individual lesions, difference between abnormal findings and image artifact, and caveats of stenosis estimation including the effect of window and level view settings. • Evaluate regional contractility, calculated estimation of ejection fraction, myocardial resting perfusion, native and mechanical valves, and pericardial disease. • Evaluate typical and complex tertiary referral studies including acute aortic syndromes, pulmonary embolism, simple congenital heart disease, post-aortic surgery studies, pre and post electrophysiologic intervention, and cardiac masses, etc. (see table of typical and tertiary cases presented). • Interpret extracardiac thoracic structures such as pleural effusions, lung nodules, lymphadenopathy, infiltrates and cite the Fleischner Society guidelines for Management of Small Pulmonary Nodules Detected on CT Scans. • Construct an appropriate workflow and staff training program, utilizing the patient SPARR (Selection, Preparation, Acquisition, Reconstruction, and Reporting) system including the appropriate integration into clinical care. Additional details will be posted as soon as they are available. Virginia Optometric Association (VOA) Annual Conference is organized by Virginia Optometric Association (VOA) and would be held during May 14 - 17, 2020 at Hilton Norfolk The Main, Norfolk, Virginia, United States Of America. Additional details will be posted as soon as they are available. Virginia Dental Association (VDA) Annual Meeting 2020 is organized by Virginia Dental Association (VDA) and will be held from Sep 23 - 26, 2020 at Hilton Norfolk The Main, Norfolk, Virginia, United States of America. Additional details will be posted as soon as they are available.